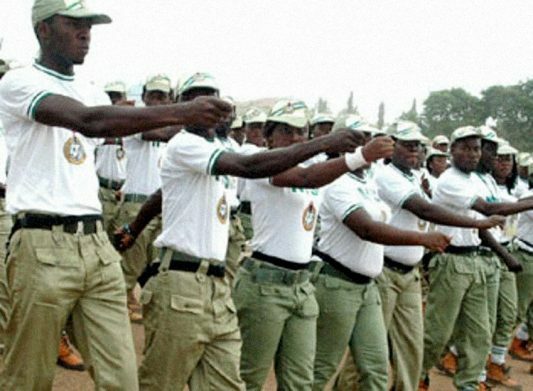 The National Youth Service Corps ( NYSC ), Oyo state, has disclosed that the 2016/17 batch B (stream1) Corps Members deployed to the state gave birth to no fewer than 72 children. The Oyo state NYSC Coordinator, Mrs Ifeoma Anidobi made this known in an interview in Ibadan. Anidobi noted that the state also recorded 20 marriages by the corps members and three deaths out of the total of 3,406 corps members passing out in the state on Thursday. “The 3,406 consists of 1,504 males, 1,902 females, 3 members received state’s awards while 1 received chairman’s award; 38 have commendation letters, 28 have disciplinary cases. “Those with disciplinary cases are to serve extension of service ranging from two weeks to four months,” she said. She urged the corps members not to view the country’s economy negatively but to see it as an opportunity to maximize their potential and utilise the knowledge acquired during Skill Acquisition and Entrepreneurship Development ( SAED ) training. Anidobi assured them that the skills would definitely help them not only to meet the expectations of the society but overcome the challenges that may come thereafter. “Develop positive attitude towards the gains of the SAED programme, within a foreseeable future, you will not only be smiling to the bank but will become a great force to reckon with as outstanding entrepreneurs and industrialists,” she said. The Coordinator further advised the outgoing corps members to always strive to do the right thing at the right time and abide by the law all the time. She urged them to remain focused and be good ambassadors of the NYSC and their respective families. Anidobi, however, commended the corps members for leaving their host communities better than they met them. “As you take your final bow out of this prestigious, noble scheme, God will order your steps and make all crooked ways straight. “The lines will fall into pleasant places for you distinguished ones, safe journey to your respective glorious destinies,” the coordinator prayed.